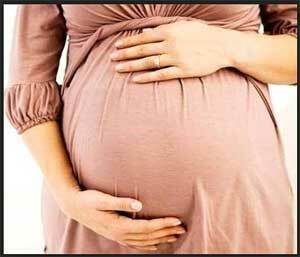 New Delhi: Over the past few years, many ordeals have been reported by the media where the female resident doctors have been denied maternity leave by various government hospitals citing “non-provision of orders to provide maternity benefits to ad hoc doctors”. In order to bring relief to the female doctors, the Health & Family Welfare Department, Delhi Government has now issued the Guidelines for grant of Maternity Leave/ Miscarriage Leave to Resident doctors (SRs/jRs/ SR(Adhoc) & JR(Adhoc)). The guidelines came after Health And Family Welfare Department received proposals from the hospitals seeking clarifications regarding provisions of Maternity Leave/ Miscarriage Leave for resident doctors. As per Section 5(2) of the Maternity Benefit Act, 1961, no woman shall be entitled to maternity benefits unless she has actually worked in establishment of the employer from whom she claims maternity benefits for a period of not less than one hundred and sixty days in the twelve months immediately preceding the date of her expected delivery. It has been decided that the Resident doctors (SRs/JRs/SR(Adhoc) & JR(Adhoc)) shall be entitled for maternity leaves of 26 weeks and miscarriage leave of 06 weeks as per Maternity Benefit Act, 1961 and Maternity Benefit (Amendment) Act, 2017 in accordance with Section 5(2) of the Maternity Benefit Act, 1961 subject to the condition that no leave shall be granted after the completion/expiry of tenure of the doctor concerned. … all the Medical Superintendents/ Dean/ MD/ Heads of Institutions are hereby advised to implement the above said guidelines while granting Maternity Leaves/ Miscarriage Leave to Resident Doctors (SRs/JRs/ SR(Adhoc) & JR(Adhoc)). The Guidance would indeed bring a lot of relief to young female medical practitioners who many times defer their pregnancies on account of their career. To end the plight of working women, the government had introduced the Maternity Benefit Act in 1961. In 2017, the act was revised and Maternity Benefit (Amendment) Act was implemented in which the maternity leaves were extended. The Act is applicable to all types of employees, provided that they have put 80 days of service in the last 12 months, from the day they asked for leave. Please give me link to the official notification so that I can approach my management. From whom to get permission for maternity leave . What about eligibility for writing exam if 6 months leave is taken????? The attendance necessary to appear in exams is 80% (this means 20% absence is permitted ). 3 years course has 365×3= 1095 days. 20% absence for 3 years equals to 219 days =7 months.Six months for prevnancy related issues, 1 month for other essentialities. If stipend is spend miserly enough can be saved for expenditure during \’leave without pay \’ period. Good govt has brought a provision. Prolonging childbearing was a ordeal. Im a SR in bihar medical college and still no benifit of maternity leave. We don’t get medical leave even. Very bad condition.